The opportunity offered by Professor Sebastien Lechevalier and the European Assopciation of Japanese Studies made my stay in Paris in 2016 offered me a most memorable experience, although I have stayed in Paris a number of times. My assignments were to deliver the keynote address in the evening of July 4 and be a discussant for four Ph.D. students during the following two days. For the key note address, I was asked to introduce my last book, Flowers that Kill, using a powerpoint. It was to drive home how communication through symbols can be opaque and thus at times dangerous, especially when symbols are beautiful. The examples are Japanese cherry blossoms and European roses. Flowers are beautiful. People often communicate their love, sorrow, and other feelings to each other by offering flowers, like roses. Flowers can also be symbols of collective identity, as cherry blossoms are for the Japanese. But, are they also deceptive? Do people become aware when their meaning changes, as when the roses they offered to Stalin and Hitler became a propaganda tool? Or were they like the Japanese, who, including the soldiers, did not realize when the state told them to fall like cherry blossoms, it meant their own deaths? Flowers That Kill urges to understand the danger of seemingly innocent looking quotidian symbols can lead people, if indirectly, to wars, violence, and even self-exclusion and self-destruction precisely because symbolic communication is full of ambiguity and opacity. July 5 and 6 were spent fully for the presentations and discussions of twenty-two Ph.D. students selected for the workshop. I was truly impressed both by the quality of their presentations and the detailed feedbacks which the discussants offered. The historical periods ranged from the Heian period to contemporary. The topics were equally wide-ranging. But, I found every one of them solidly based on the research for which the presenter had a firm grasp of the Japanese, written and oral. The atmosphere was quite cordial – the model set forth by Professor Sebatien Lechevalier, President of the Fondation France Japon de l’EHESS, who is Professor of Economics at l’EHESS. His 『日本資本主義の大転換』(La Grande Transformation du Capitalisme Japonais), published by Iwanami Shoten, is a magnum opus which places the historical transformations of Japanese capitalism in comparative and global perspective with a particular emphasis on the question of social/economic inequality. Despite his lofty status as a scholar, he deftly conversed with students as well as advisors, creating a genuinely warm arena for scholarly dialogues. I am not sure if I fulfilled my duty, however. Professor Lechevalier asked me to tell the research plans I had when I wrote Flowers that Kill. I never had a complete vision of any of my books/research. For The Monkey as Mirror, I started out as a research on the changing meanings of metaphysically intriguing monkey in Japanese history only to realize that it expressed the marginalization of social groups whose occupations were non-agrarian. My Kamikaze, Cherry Blossoms and Nationalisms began as a research on ohanami, with my enjoyable participations in cherry blossoms viewing at various parks until I happened to realize that the Japanese military deployed one of the meanings of cherry blossoms – fall after a short life – to send off young men to the front. My research focus shifted for good to wars and violence, and the roles of symbolism and aesthetic in them. The workshop offered me an invaluable experience. Not only did I learned a great deal from the young scholars and discussants, but I was reassured that Japanese studies are robust with bright future. The 12th EAJS (European Association for Japanese Studies) Workshop for Doctoral Students was held from 4th to 7th of July 2016 at the EHESS, Paris, with the generous support of the Toshiba International Foudnation, the Japan Foundation and PSL Research Univerisity. This workshop is held each year in a different city in European country aiming to create a European multidisciplinary network of graduate students and senior scholars working on Japan. This year, it brought together 20 doctoral students as well as 16 junior and senior advisors from 26 differents univer sities and 21 European countries. The Workshop began with the keynote speech by Emiko Ohnuki-Tierney, University of Wisconsin (See the Editorial, page1). In the informal environment, the students presented their on-going thesis projects, ranging from the History on Mideaval Japan to the recent Fukushima catastrophe. The comments made by advisors and the following intense discussion provided a unique oppotunity to deepen their quality of projects. Emiko Ochiai (Kyoto Univ. ), Esther Dermott (Univ. of Bristol), Noriko Mizuno (Tohoku Univ. ), Simeng Wang(EHESS), Yoko Onda (Komakino Hospital), Yukitaka Matsumiya (Hiroshima Prefectural Univ. ), Eléonore Koehl(Bureau de l’accueil familial départemental), Marie-Dominique Airault (AEMO, Assistance Educative en Milieu Ouvert AED, Action Educative à Domicile), Emiko Tanaka (Univ. of Tsukuba), Taeko Watanabe (Japan Univ. of Health Sciences), Kumi Watanabe(Univ. of Tsukuba), Tokie Anme(Univ. of Tsukuba), Yasuko Murata (Kwansei Gakuin Univ. 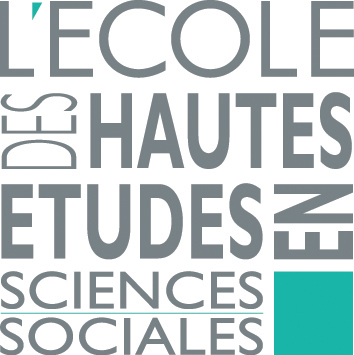 ), Bernard Thomann (INALCO), Margarita Estevez-Abe (Syracuse University), Nathalie Morel (Sciences Po), Bruno Palier (Sciences Po), Serge Paugam (EHESS), Marie-Thérèse Letablier CES, CNRS - Univ. Paris 1), Florence Levy (EHESS), Iwai Hachiro (Kyoto Univ. ), Kimio Ito (Kyoto Univ. ), Chengnan Yan (Niigata Univ. ), Stéphane Heim (Kyoto Univ. ), Wako Asato(Kyoto Univ.). The automobile has contributed to the economic growth of the world by moving goods and people with outstanding comfort and speed since more than 100 years ago. Also, each component of a vehicle (more than 30,000 in total) requires deep expertise in technology, such as materials, kinematics, combustion engineering, fluid dynamics, or computing science. As a result, a wide-ranging industrial structure, producing large-scale employment in the market, has been developed, which in turn continuously drives a positive market cycle. This structure has penetrated widely into markets worldwide, from developed countries to emerging countries. But there is a question-mark. Will this mechanism be sustainable? TOYOTA MOTOR CORPORATION was established in 1937, by Kiichiro TOYODA, who was strongly motivated with the mind, “We should manufacture automobile by ourselves”, at the time when all automobiles were imported from US or Europe. Kiichiro was the son of Sakichi TOYODA, the inventor and founder of auto-looming manufacturing business. Kiichiro succeeded his father’s discipline and started up an automobile manufacturing business by overcoming several difficulties during and after World War II. Sakichi and Kiichiro’s visions have been successfully transferred to successors till now as ‘Guiding Principles at Toyota’, such as ‘to be a good corporate citizen of the world’, ‘contribute to economic and social development through corporate activities in their respective communities’, or ‘create and develop advanced technologies and provide outstanding products and services that fulfill the needs of customers worldwide’. Toyota has now become a global enterprise, with 340 thousand employees, producing 10 million units per year worldwide. Toyota’s core values and competitive advantages allow the company to provide vehicles known for their quality/reliability or technological leadership, such as hybrid or fuel-cell vehicles. Looking at the real world, however, the automobile population exceeds 1.2 billion and several negative externalities due to automobiles are now recognized, such as heavy traffic jams or air pollution, especially in emerging countries. In addition, IT technologies may have caused a shift in human values, moving away from ‘owning’ and towards ‘using’. These signals may indicate to us that the automobile manufacturing business might not continue to be a mainstay in the economy. This is why we decided to establish a new small team, called the Frontier Research Centre, to explore technological “seeds”, with the time horizon of 30-50 years, which may be matured into business units following (or supplementing) the automobile manufacturing business, in order to contribute to society. With this scope of new research centre, we have paid attention to artificial intelligence as the one of the most important core technologies. It has become clear that there is no need to wait for the ‘singularity’, as it is already apparent that artificial intelligence will gradually penetrate into several applications in society; at a certain point, it may even reach the level at which we may feel ‘intelligence’ or even ‘life’ within products. As a result, this motivates research not only in technological development, such as deep learning or other algorithms, but also in study from ethical, religious, or philosophical standpoints. Eventually we think ‘interdisciplinary’ will become a critical element of study in this technology. This is why we are excited to collaborate with Centre d'études avancées franco-japonais de Paris for the study of “Social impact of artificial intelligence”. As we observe that the Centre has developed interdisciplinary studies and established an excellent network involving related stakeholders, governments or academia in France and Japan, we also wish to explore the direction of how this technology could help enrich society. - Could you explain about your current researches at the EHESS ? I am currently working on a research project attempting to elucidate the main driving force(s) of so-called “dietary transition” , which is usually described as a dramatic transformation of dietary habits in accordance with economic growth and globalization: from mostly grain-based, self-sufficient and subsistence diet to diversified and commercialized diet with abundance of animal products and processed food. In particular, I focus on edible fats and oils and make comparative study on consumption trends of them between France and Japan in the 20th century. After graduating with my master’s from Graduate School of Agricultural and Life Sciences, the University of Tokyo, I spent seven years working at Mitsubishi Research Institute, Inc. , a private think tank in Tokyo, Japan. In this institute I had been involved in various research and consulting projects on agriculture and forestry commissioned by Ministries and public organizations of Japan. While I have developed an academic career as PhD candidate after deciding to go back to the University of Tokyo, I have obtained the Air Liquide Fellowship and came to France. 3. Can you share with us your experiences during your stay in France, and in particular your relationship with Air Liquide and your colleagues? I am really having a wonderful experience during the stay in France : having discussions with professors and colleagues, attending interesting symposiums and seminars, visiting farm fields as well as tasting a variety of French food. I have had several meetings with Air Liquide so far to discuss the progress of my project and receive their feedbacks, every of which is very much fruitful and suggestive. Also, since my colleagues at the EHESS have diverse academic backgrounds and disciplines such as history, sociology, economics and anthropology, I have been truly impressed with and learned a lot from the discussions with them. 4. Could you give some advices for students or young lecturers of this Newsletter who want to pursue the academic carrier? In addition to what you do and how you do it in your research, how you explain it to others is also critical. It would be great if you could briefly (e.g. just in a minute if required) explain your research project anytime to anyone. Also, effective utilizing of charts (figures and tables) can be quite powerful tool in your paper or presentation to convince others.